President, Craig March with VP of Marketing, Angel and Chief Information Officer, Lucy. March Direct Marketing was founded with the sole purpose of connecting the right products with the right people. Drawing on over 10 years of experience in the list and data industry we know what it takes to make your direct marketing campaign a success. We use the highest quality lists from the most reliable sources to ensure you are communicating with the right people. Linda, my wife, and I were both raised with the following attributes ingrained: Honesty. Trust. Reliability. Appreciation. We are a long time member of the New Mexico Chapter of the American Marketing Association and served on the board of Directors (VP of membership 2009-2011). This collaboration of working with hundreds of marketing executives not only here in New Mexico, but nationwide, has aided in keeping us at the forefront of leading marketing initiatives and strategies. We are your direct marketing partner! At March Direct Marketing, we believe in giving back to our community. With difficult times at hand, there are many organizations that reach out not only to help people, but also to help our animal friends. 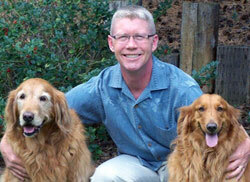 Every Golden Retriever we have been given the honor to entrust into our care, has come from a rescue group. In past years, I served on the Board of Directors for Walk N’ Circles Ranch, New Mexico Horse Rescue. We proudly support and are a community partner to these organizations and hope you will take the time to visit their respective sites to see first hand the good that they do.